Dr. Malof was raised in the Cincinnati area. He received his Bachelor of Arts degree from the University of Cincinnati and his Doctorate from the Indiana University School of Optometry. Following graduation, he worked for MacGregor Medical Association in Houston, Texas where he gained experience in the diagnosis and treatment of ocular disease and medical co-management with other physicians on staff. 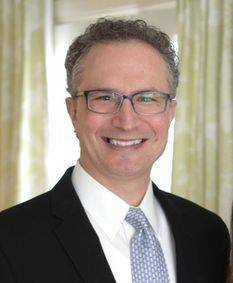 He returned to Ohio in 1994 and one year later joined the team at Rahn Eyecare Center, now known as Millford Opticare Vision Center. Dr. Malof’s interests include primary eye care, contact lenses, and ocular disease diagnosis and management. He is a member of the American Optometric Association, Ocular Surface Society of Optometry, National Glaucoma Society, as well as the Ohio Optometric Association. With over 25 years experience, Dr. Malof prides himself on spending time with his patients to thoroughly meet their eye care needs. Outside the office, Dr. Malof enjoys spending time with his wife, Jen, and their children. He plays a number of musical instruments and enjoys staying fit through biking and yoga.